Is it because they’re going to be inducted into the Rock ’N’ Roll Hall of Fame later this year? 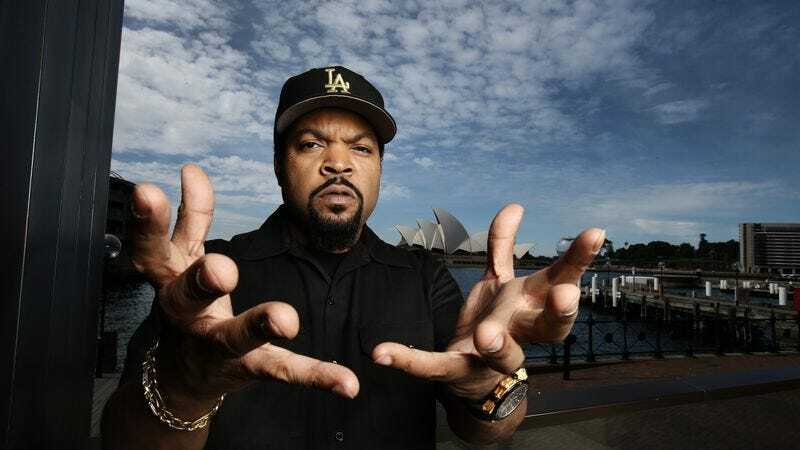 Did Ice Cube see Guns N’ Roses and LCD Soundsystem on the Coachella lineup and decide to get in on his own nostalgia trip? Did the festival organizers back a dump truck full of cash up to his doorstep? Either way, while making the media rounds to promote his latest film, Ride Along 2, Ice Cube let slip that N.W.A. maybe, just might (but definitely will) reunite at this year’s Coachella Valley Music and Arts Festival in Indio, California. While Cube, DJ Yella, and MC Ren hooked up together for a few festival dates last summer, with the inclusion of Dr. Dre, this could potentially become the first real reunion of all the living members of N.W.A. A number of months back, Dre gave an interview where he mentioned that he wanted to take N.W.A. out on the road, with Eminem possibly filling in for the departed Eazy E. Nothing came from those plans, but given Dre’s own Coachella history of bringing dead rappers back to life via hologram, we might even get to see Eazy do his thing as well.